Amnesty International has accused Washington of “sweeping under the carpet” a December Senate report that the CIA tortured militants using the so-called “enhanced interrogation techniques” during the post 9/11 War on Terror. Naureen Shah, a researcher for Amnesty, accused the Obama administration of ignoring the painstaking five year investigation, which culminated in the Senate Report. “Major US agencies implicated in the Senate summary, including the Departments of Justice and State, have even kept the full report in sealed envelopes, and locked away,” the Amnesty report reads. 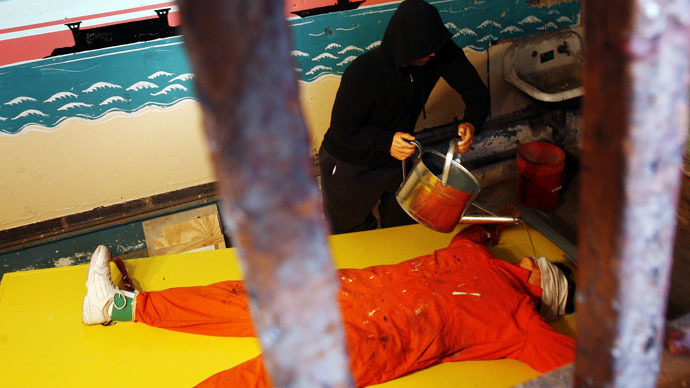 The CIA torture report, published in December last year, examined the agency's use of torture post 9/11. The full report is 6,700 pages and is classified. The US Senate Select Committee on Intelligence (SSCI) only published a heavily redacted 480-page summary of its investigation into CIA mistreatment and abuse of terror suspects. Amnesty demands that the Justice Department and the White House disclose the names of those involved and the locations of all the secret prisons used in the program. The identity of all those held either by the US government or at the request of foreign governments must also be disclosed, says the rights group. European Court of Human Rights (ECHR) confirmed Poland's complicity in CIA torture program in February. It ruled the Polish government had to conclude its investigation and pay damages. It was then expected the ruling would put pressure on other countries to end the secrecy about their involvement in the CIA’s global torture program. It’s been known that Romania, Pakistan, Afghanistan, Morocco and Thailand also hosted CIA’s black sites.